How to auto start your program on IchigoJam ? IchigoJam which is uniq one board computer can start a program automatically when you power on. IchigoJam has 4 slots ( 0 to 3 ) inside for saving your programs. You can load & run your program which saved slot 0 ( I meand a program which you did SAVE0 ) with following way. 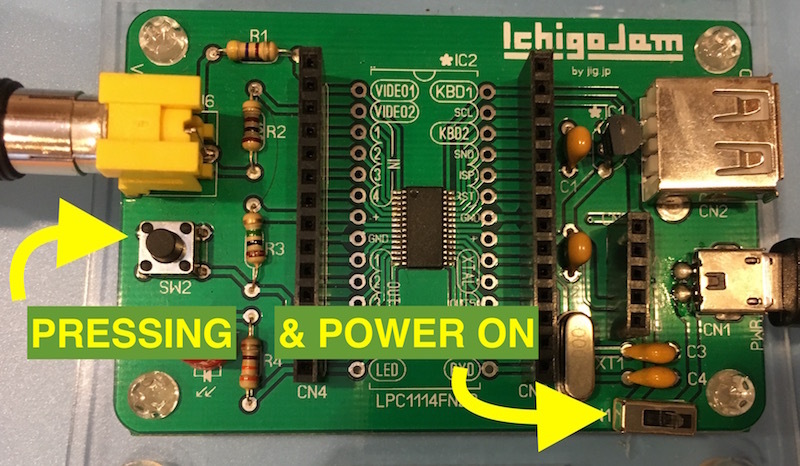 Keep to push a button ( tact switch ) on IchigoJam & power on it. 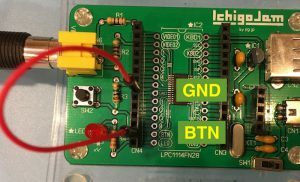 Make short / connect BTN and GND. Then power on your IchigoJam. Using jumper wire (male to male) is easy to make short. 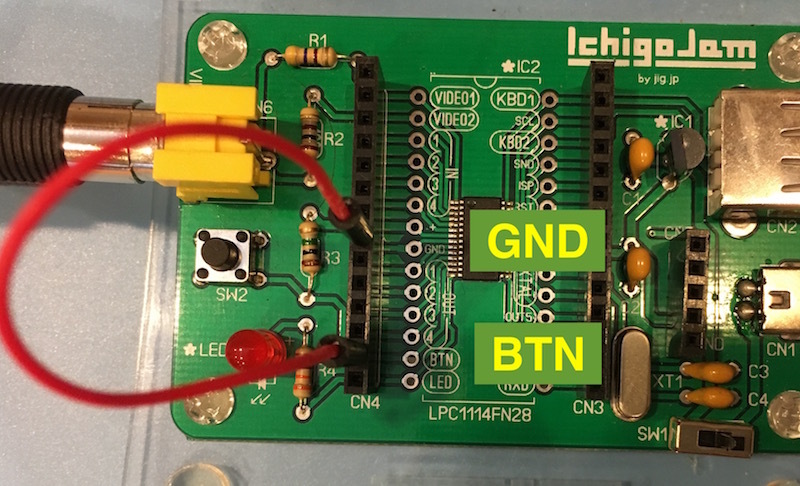 BTN is located 2nd from the bottom of CN4 connector. When you make a something without keyboard , its useful. For example , robot , sensing temperature & humidity machine , light controlling . IchigoJam was developed in Sabae , Fukui in Japan in 2014. The concept of IchigoJam is a delivering fun of making program on computer for every kids in the world. It’s a name card size small one board computer with BASIC language. You can use it for video game , robotics , music , something automation with your ideas.